Manchester United have always been fortunate enough to have an arsenal of able and often brilliant goalkeeping talents. The likes of Peter Schmeichel, Edwin van der Sar, and now David De Gea have all cemented their spots amongst the best shot-stoppers to have graced the great game. However, by virtue of brilliance, it is hard to hold on to brilliant players. The case of David De Gea is an apt example of this, as the 27-year-old has consistently been on the radar of Real Madrid, and on many occasions, the deal was believed to be done and dusted. Now, the Red Devils have another update to their goalkeeping tradition. 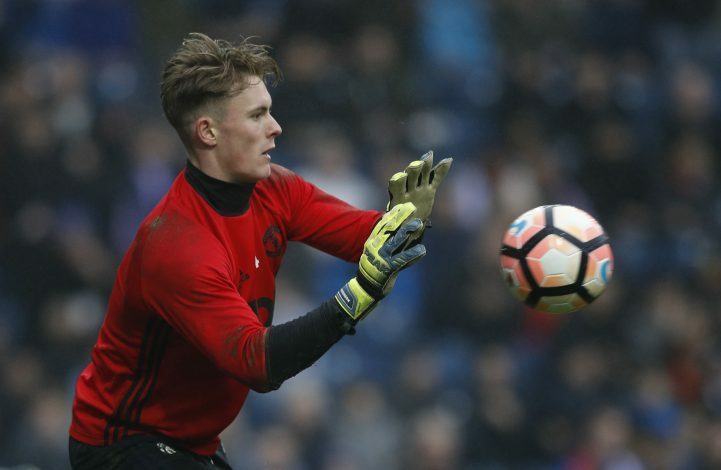 21-year-old keeper Dean Henderson has signed a new contract at Manchester United, that will see him function at Old Trafford until June of 2020, with an option to extend for a further year. Henderson, who is also an England U-21 player, spent a decent season on loan with Shrewsbury Town last campaign, and was named in PFA League One Team of the Season. He added: “Obviously, there was a lot of interest after last season, when I’ve done myself well going out and playing but, look, United are the biggest club in the world and have been my club since day one so, of course, they are always first in my mind. Supporters will be eager to see how far he’ll progress during his stint at the Old Trafford club, and whether or not he’ll add his name to the lists of greats to have shined in the Theatre of Dreams.